Things haven’t been great with the “C” in Fiat Chrysler Automobiles for some time. Chrysler, a storied American nameplate, now only sells two cars in a handful of markets. So when Automotive News reports it’s heard a rumor that the Chrysler brand may get “whacked” on Friday, it’s not implausible. But for now, an FCA official denies it’s the case. In a story that cited only “a source [telling] a European colleague” about the move, Automotive News wrote Wednesday that FCA could axe the entire Chrysler brand on Friday at the big investor day in Balocco, Italy. However, an FCA spokesperson told Jalopnik on Thursday that the Chrysler brand is not going away. The Automotive News report came out around the time Bloomberg published FCA CEO Sergio Marchionne’s reported exit plan as he gets ready for retirement—basically, more Jeeps and less from Fiat and Chrysler, according to sources familiar with the matter. The official plan is supposed to come out Friday. The part of the Automotive News report claiming Chrysler could be done for was thinly sourced. It simply said that a “source told a European colleague that such an announcement could come Friday, but the rumor is officially unconfirmed.” FCA will have an investor day on Friday in Balocco, Italy, according to the story. Despite the Chrysler brand’s struggles—it doesn’t have much going for it these days other than the Pacifica and aged 300 (they count the Pacifica Hybrid as a third car, but come on)—it still makes up half of its parent company’s name, making the report surprising for that reason alone. Automotive News also reported on the failure of Chrysler to fulfill its plans to become a Chevrolet and Ford competitor with eight vehicles in the lineup by 2018, including two hybrids. It’s 2018, and there aren’t eight vehicles in the lineup. At the same time, it could be hard to drop a brand that makes up so much of the powerful parent company’s name. Chrysler has also filed recent applications for trademarks through the world Intellectual Property Organization, whether or not they’ll be acted upon. 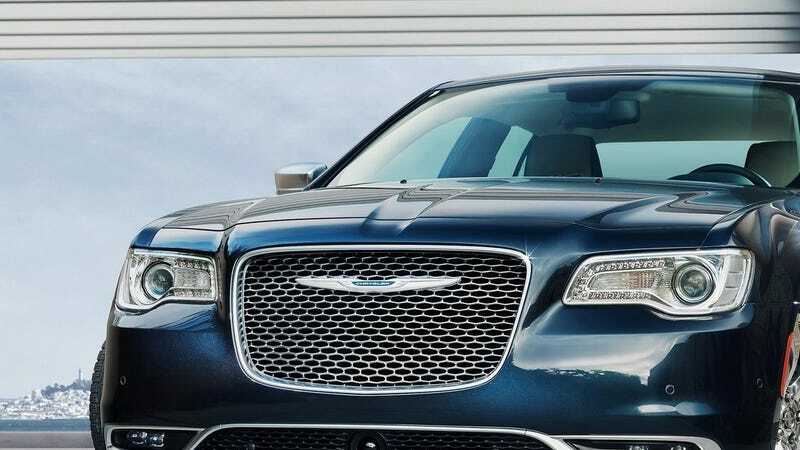 Those applications include Chrysler Atlantic trademarks from December 2017, as well as ones for the Chrysler 300 and Chrysler 200 from January. And you can breathe a sigh of relief, as there were no “Jeep Pacifica” applications in there. Thank goodness. Of course, FCA has some kind of plan in the works as Marchionne heads to a retirement that likely includes a lot of drinks on the beach, and we’ll find out the details tomorrow.